PayPlux operate in Ghana and Nigeria for e-currencies exchange in bitcoin, ethereum, litecoin. The site accept USD and Cedi fiat money. PayPlux is an e-currencies exchange for Ghana and Nigeria people, based in Accra in the district of Achimota, it exchanges: bitcoin, litecoin and ethereum. This service is for individuals and for large companies that want invest in digital assets. The site operate with Slydepay service, a platform where anyone in Ghana can sending money through mobile money networks. How does PayPlux Ghana work? On PayPlux Ghana you can exchange from Monday to Friday (8am - 9pm) and Saturday (9am - 8pm). This because now the service is in manual mode. But the team working for implementation of SlydePay 24/7 instant service. Otherwise, you can select your bank for to pay with your bank account. Or you can go at PayPlux office for to receive payment in your hands. The web site of PayPlux is: http://www.payplux.com. 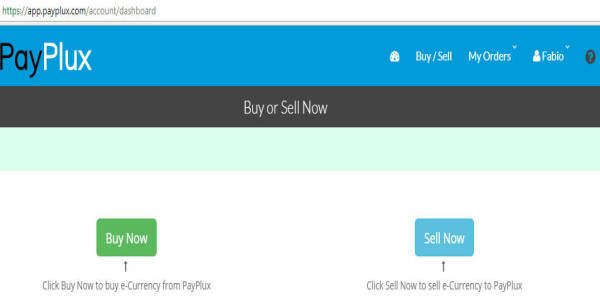 The Facebook page of PayPlux is active from november 20 2012: this the time of the first post. If you want know more about bitcoin exchange in Africa, read this: ' BitcoinFundi Zimbabwe's crypto trading platform Bitcoin, Litecoin'.